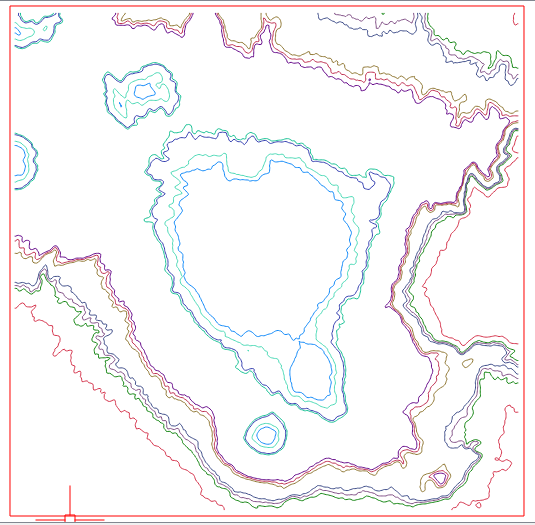 I am using the GRASS v.in.dxf tool from the GRASS plugin to import some contours in QGIS. Everything seems fine, but the tool does not import all the contours. There are no additional options in this tool. There are no selected features. Has anybody had this problem? I am using QGIS 2.18.11 in Windows 10 32 bits. The dxf file can be downloaded here: https://drive.google.com/open?id=0BxWWBxW4QOfdVWl3R3BMemJPTlk. 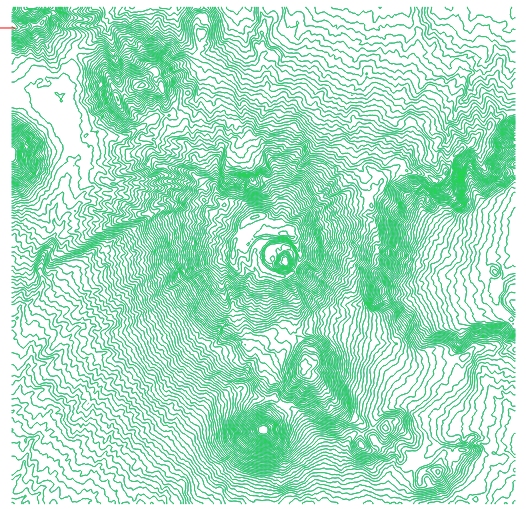 For the record, I created the file using ogr2ogr, because it seems it's the only way to export elevation to a dxf. Note that the Z coordinate of the vertices is always 0, but that the elevations are kept in the layer attribute, from where they can be used for further processing (the same as if it was imported with 'Add Vector Layer'). I'm one of the v.in.dxf developers. I tried your DXF file and the module worked fine. By default, this module imports all layers into multiple layers in a new vector map. 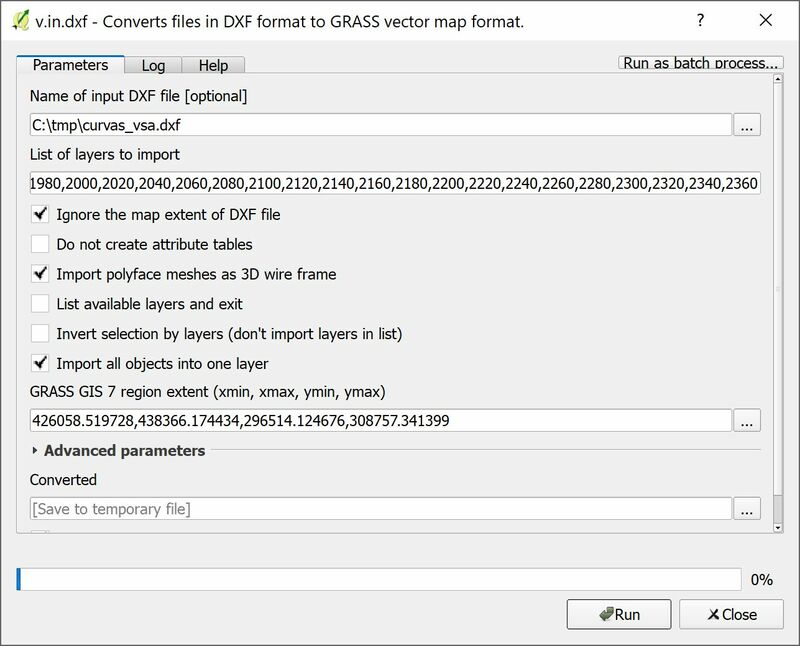 v.in.dxf found 85 layers in your DXF file and imported them into 85 different layers (dblinks in GRASS terms). I think what happened is when QGIS imported back the 85 layers from GRASS into a QGIS layer, it didn't import all the layers. If you want to import all layers into one layer, use the '-1' Import all objects into one layer flag. Not the answer you're looking for? 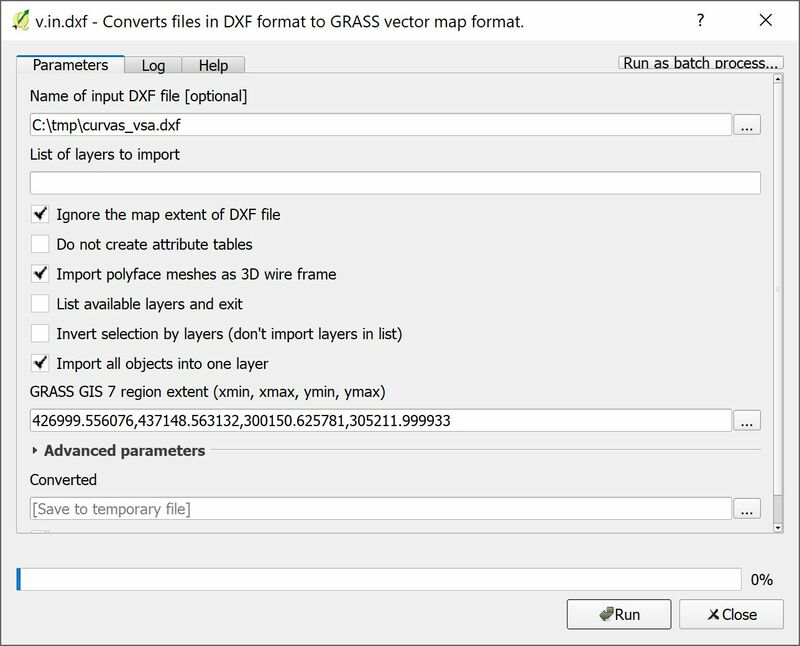 Browse other questions tagged qgis dxf qgis-grass-plugin or ask your own question. 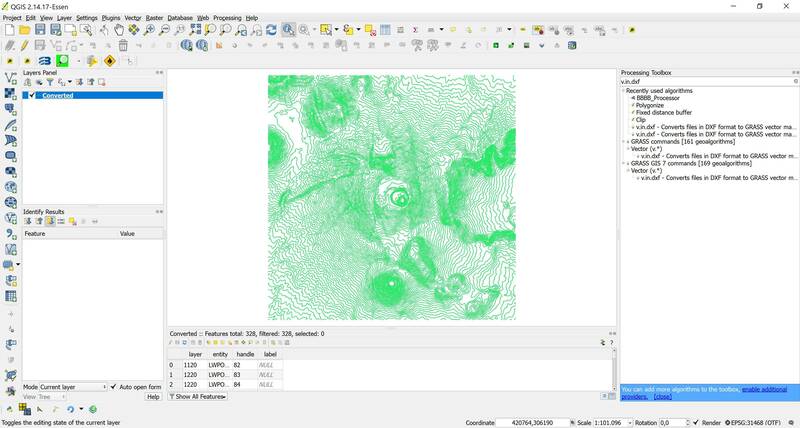 Importing 3D DXF file into QGIS with z information as attribute value? 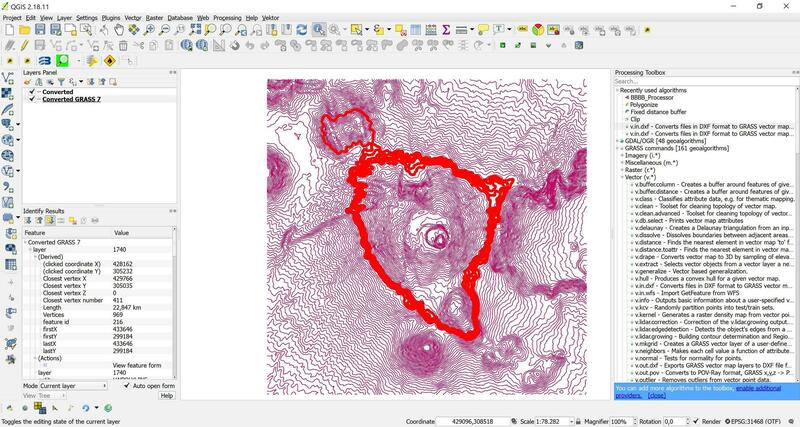 Exporting QGIS contour attributes in DXF file?